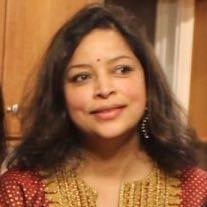 OSNE is a non-political, non-profit, voluntary association for Odias living in New England. It is a chapter of the Odisha Society of the Americas (OSA), recognized as the 501(c)(3) public non-profit in the United States. We are dedicated towards celebrating and maintaining Odia culture by bringing families together. OSNE arranges various religious festivals and social gatherings throughout the year for our members. With the help of the Odia families from the New England area, OSNE has been successfully promoting the culture of Odisha and charitable work for over 30 years. The histories of OSA and OSNE are intertwined. 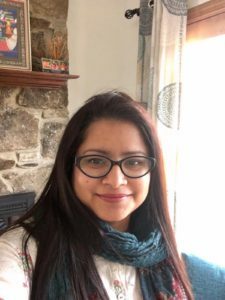 During the late 1960’s, some of the first Odias arrived in the New England area. Few prominent Odias at that time had a vision to create a non-profit foundation for the Odia people in the region in order to promote culture, connect families and inspire future generations to carry on the Odia heritage. As a result, The Orissa Society of the Americas (OSA) originated in 1969 in New England area. In the early 1970’s, several other Odias, many academicians, research scientists, physicians and students for higher studies, arrived in the New England area. By 1975, the Odia society reached a respectable Odia population to host community picnic, games and other events. Finally, in 1976, the Odia community in New England hosted its first community Puja, which was held in an apartment. As the years went on, many accomplished Odias helped strengthen the Odia community. Some of the world renowned artists from Odisha visited Boston, marking the beginning for cultural activities and programs for Odia community in New England. The Odia population in New England boosted during the 1980’s as several new families settled in New England. In 1982, a new event was introduced, the annual picnic, which was held in a public park due to the large amount of attendees. 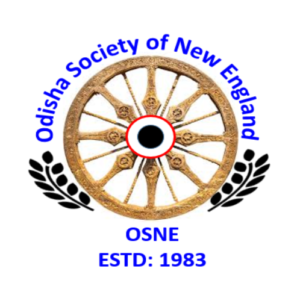 In 1983, the Odisha Society of New England (OSNE) was born and the first office bearers of OSNE were elected. In 1984, the first OSNE Ganesh Puja was held in an apartment. Later on, with the technology boom in 1990’s and 2000’s the New England area saw an influx of several young Odia families who joined OSNE. With its success, OSNE celebrated its Silver Jubilee in August 2009.The region hosted the very first OSA Annual Convention in 1969 and the organization began larger endeavors by conducting OSA North Eastern Regional Drama Festival(RDF), hosting the 47th Annual OSA Convention in 2016 and participating in other cultural and Indian festivals in New England area. In addition, OSNE has sponsored various artists from Odisha to perform in USA and involved in charitable work by raising funds, collecting clothes and food for the victims of natural disasters in Odisha and elsewhere. OSNE continues to host several events every year, celebrating Odia culture and religious events, including Ganesh, Saraswati Puja, Kumar Purnima, as well as Annual picnic in summer, with the primary goal of exposing our younger generations to their heritage. There are currently more than 150 families attending the OSNE events, and this number continues to grow. The Odisha Society of New England Executive Committee (2016-2019). Board Elections are held every two years. Click here to receive emails about upcoming OSNE events and more information!